I have been using nothing but serrarted edge scissors to cut my fabric for the past 25 years. I love the way the serrated blade cuts into my fabric. 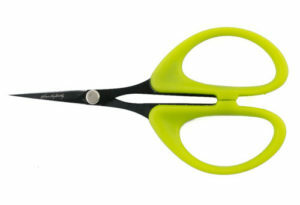 This special blade pulls the fabric into the scissors rather than pushing it alway like traditional scissors. 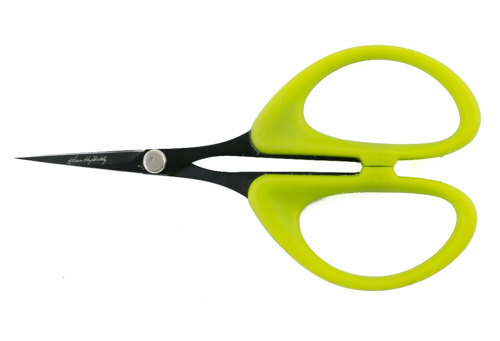 Things you will like about these scissors…cushioned handle, easy for right or left hander to use, blades sharp to the very tip, serrated blade keeps fabric from fraying, light weight and comfortable. The 4″ size are great for detail cutting on curves and points. 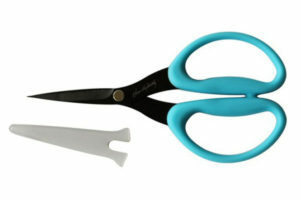 This special blade pulls the fabric into the scissors rather than pushing it away like traditional scissors. Things you will like about these scissors…cushioned handle, easy for right or left hander to use, blades sharp to the very tip, serrated blade keeps fabric from fraying, light weight and comfortable. The 7 1/2″ size are great for cutting single or multiple layers of fabric. I can comfortably cut up to 4 layers. If your quilt has a lot of one shape, layer cutting saves a tremendous amount of time. 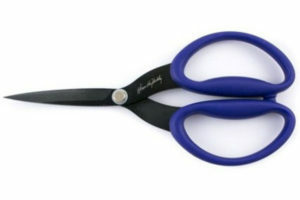 I am happy to announce our new Karen Kay Buckley’s Perfect Curved Scissors have arrived. What is the benefit of the curved tip? 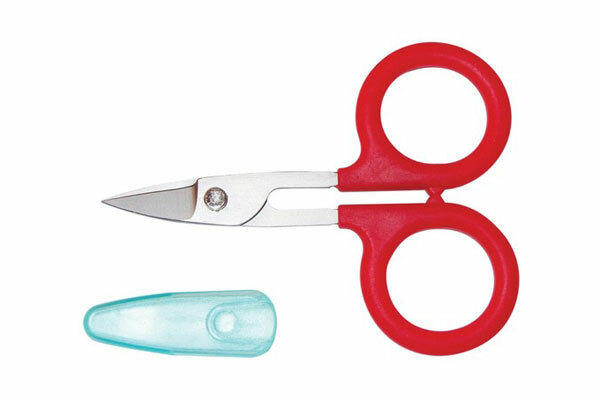 It allows you to clip close to your fabric without cutting into your quilt top. These scissors are fabulous for clipping threads for machine quilting, machine applique and machine embroidery. They have a serrated blade, a very comfortable handle, just like all of our other scissors and a right or left hander can use them with ease.